LONDON (Reuters) - A global oil glut is building as OPEC kingpin Saudi Arabia pumps near record highs in an attempt to win a market-share battle against stubbornly resistant U.S. shale production, the International Energy Agency (IEA) said on Wednesday. The West's energy watchdog said in a monthly report that although higher-than-expected oil demand was helping to ease the glut, growth in global oil consumption was far from spectacular. "Despite tentatively bullish signals in the United States, and barring any unforeseen disruption elsewhere, the market's short-term fundamentals still look relatively loose," said the IEA, which coordinates energy policies of industrial nations. Global oil production exceeds demand by around 2 million barrels per day, or over 2 percent, following spectacular growth in U.S. shale production and OPEC's decision last year not to curtail output in a bid to force higher-cost U.S. producers to cut theirs. "In the supposed standoff between OPEC and U.S. light tight oil (LTO), LTO appears to have blinked. 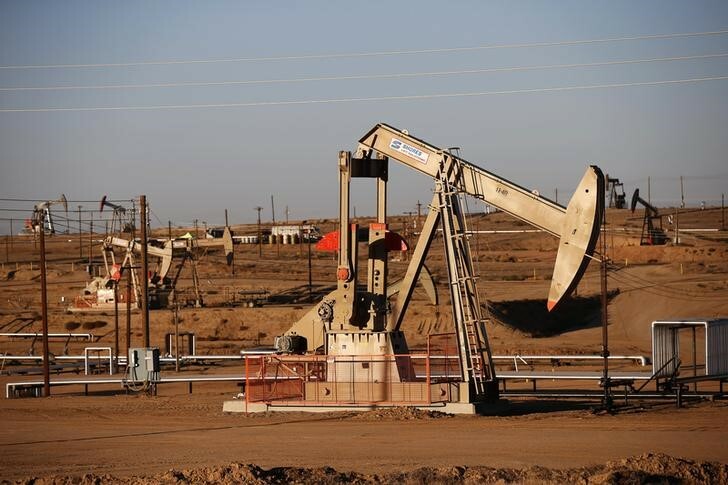 Following months of cost cutting and a 60 percent plunge in the U.S. rig count, the relentless rise in U.S. supply seems to be finally abating," the IEA said. "Several large LTO producers have been boasting of achieving large reductions in production costs in recent weeks. At the same time, producer hedging has reportedly gone steeply up, as companies took advantage of the rally to lock in profits," the IEA said. "It would thus be premature to suggest that OPEC has won the battle for market share. The battle, rather, has just started." The IEA lifted its 2015 forecast for non-OPEC supply growth by 200,000 bpd since last month's report, saying non-OPEC producers will contribute 830,000 bpd of additional supplies in 2015.